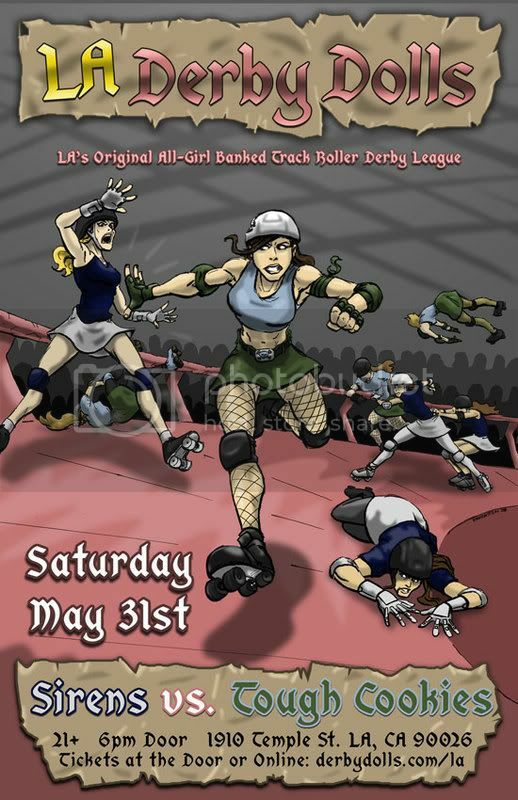 I went to the Roller Derby for the first time last month and it was simply awesome! This is now my favorite sporting event. But not just because of the action on the track. The atmosphere - the VIBE - was the selling point. It was a Punk/GenX/Psychobilly blend that made me feel like I was back in my Mom's house and all my old Smiths and Talking Heads cassettes were magically there again (but not in a horribly depressing way). The crowd was MY crowd. The track announcers were hilarious and at halftime, there was a live concert by a band who was obviously influenced by GWAR and Green Jello. I was so psyched by the event, I wanted to give more than the price of admission. Go and be changed forever!